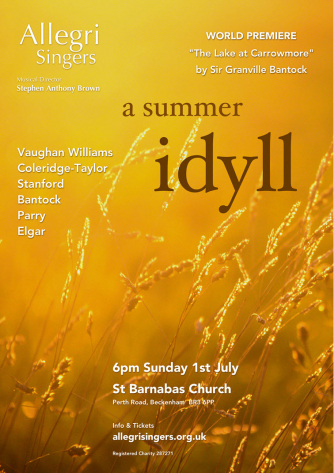 The Allegri Singers directed by our musical director Stephen Anthony Brown bring you summer treats, both well known and new! We are particularly pleased to present the World Premiè​re of discovered “The Lake at Carrowmore” by Granville Bantock. Visit us at allegrisingers.org.uk for more information.